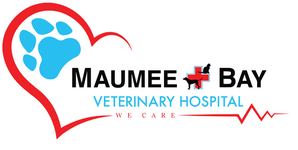 The veterinary care foundation accepts tax deductible donations that go towards the care of pets in need at Maumee Bay Veterinary Hospital. These funds go towards homeless pets in need of advanced medical care, but also to the care of other stray animals, area police dogs, service pets, and others in financial need. Consider giving back to the pets in your community by making a donation today - go to www.vetcarefoundation.org and select Ohio, then donate to a veterinary clinic, and select Maumee Bay Veterinary Hospital. Thank you!